Although the Battle of the River Plate happened 75 years ago, The Royal New Zealand Navy today still holds its memories very close to heart. From initial training, right through to moments at sea, sailors look back on the battle to show us how the past has paved the way to the creation of the Navy as we see it today. 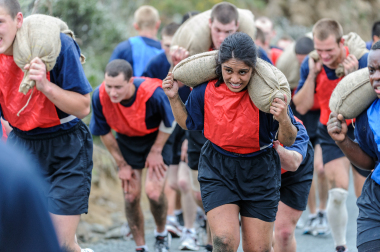 In Basic Common Training, our first steps into the Navy give us the foundation we need to be successful sailors today. We are split into two divisions from day one, one division being Achilles. These teams are implemented throughout training to ensure we fully come to appreciate the core values of our Navy. The ceremonial life ring from HMS Achilles is always in clear sight. 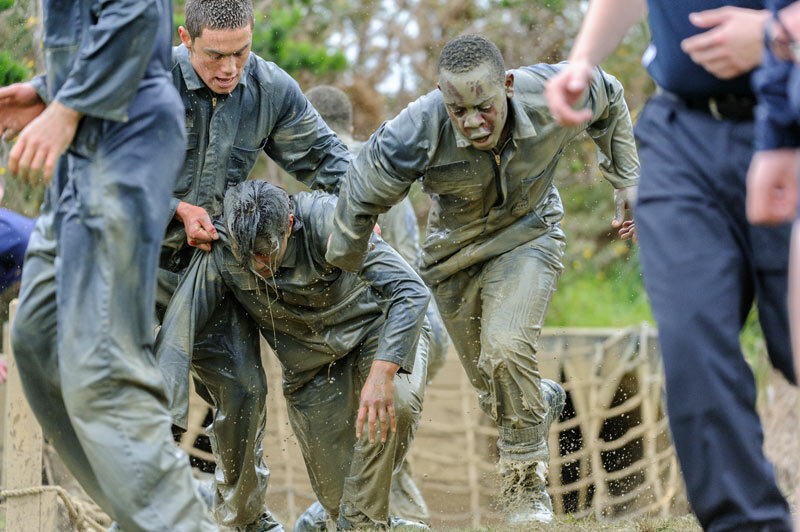 It is a visual reminder of a courage that was used to overcome an insurmountable adversity, and enforces the strength that young sailors will need to complete the gruelling three month basic training course. The significance of remembering those that have gone before us is reiterated frequently throughout our careers. We reminisce with a distant affection on those moments in training when we were required to live up to our three core values: Courage, Commitment and Comradeship. It is moments of history like River Plate that young sailors are taught to recall in times of hardship. 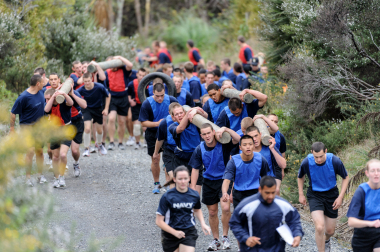 The battle is a prime example of New Zealand sailors coming together and upholding these core values. The last week of intense physical training is spent up at a range with various courses and trials. From the classroom, to the “scran” (dinner) line, our history does not drift far from our attention. In the galley at Whangaparoa hangs a memorial to the River Plate Battle and those involved. It tells of the battle between the German and British forces in December 1939. We are required to study and learn the events of the battle over the course of the week. We must then correctly answer a question regarding the battle before proceeding into the galley to devour our meals. Today we remember with pride and admiration those New Zealanders on board HMS Achilles. 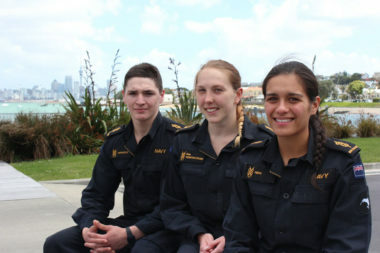 At the 75th anniversary of the Battle of the River Plate, we look back on our own history and feel humbled by the courage shown by New Zealand sailors of the past. As young sailors in the present day Royal New Zealand Navy, we continue to strive to honour those who have cemented the path that led to the formation of our own independent naval force.